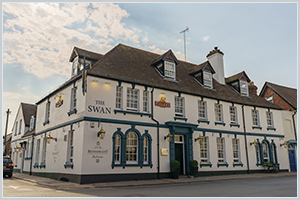 The Swan Hotel | Pub Quizzers | Find a pub quiz near you, now. Pub quizzes take place at The Swan Hotel , High Street on Mondays (weekly) at 20:30. Entry is £1.00, you can have up to 6 people on a team. There are prizes of cash, drinks, food. Happy quizzing! Are you the brains in the family? Our weekly quiz runs from 8:30pm every Monday. It's a great way to spend your Monday evening. In which country is the doomed town of Chernobyl?